What We Do — Nu Xi Zeta Chapter, Zeta Phi Beta Sorority, Inc. The Chapter strives to provide education and awareness surrounding elder care and how to prepare for your senior years. The chapter has implemented a comprehensive program that also focuses on elder abuse awareness, financial peace, supporting the caregiver and volunteering at senior care facilities. In 2014, the Chapter partnered with Senior Services of Alexandria Meals on Wheels Program to deliver hot and cold meals to the City of Alexandria’s Aging Community. In May 2014, the Chapter hosted a Caregiver’s Workshop where local experts shared practical information about options for long-term care insurance, in-home caregiver support, residential facilities, financial realities, palliative care and hospice services. The Chapter has provided retirement planning, homebuying and basic financial advice through our Women’s Empowerment Series and various other workshops. The Chapter hosts an annual reading motivation and awareness program that calls for every child in every community to celebrate reading on March 2, the birthday of beloved children’s author Dr. Seuss. The event is a great way to bring together community leaders to read to children. The program has grown to over 75 children and their parents who participated in group readings led by community and political leaders, and participated in educational games and activities. 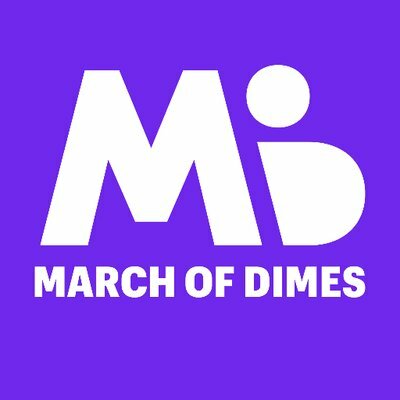 March for Babies – The Chapter annually participates in WalkAmerica, raising funds to educate and hopefully find a cure for premature birth. Premature birth is the #1 cause of newborn death. It has reached epidemic proportions in the U.S., endangering the lives of more than half a million babies. Storks Nest – The chapter regularly supports the area Stork’s Nest on Sacramento Drive in Alexandria. The Stork’s Nest provides baby supplies and clothes to low income mothers who regularly participate in prenatal care and education programs.